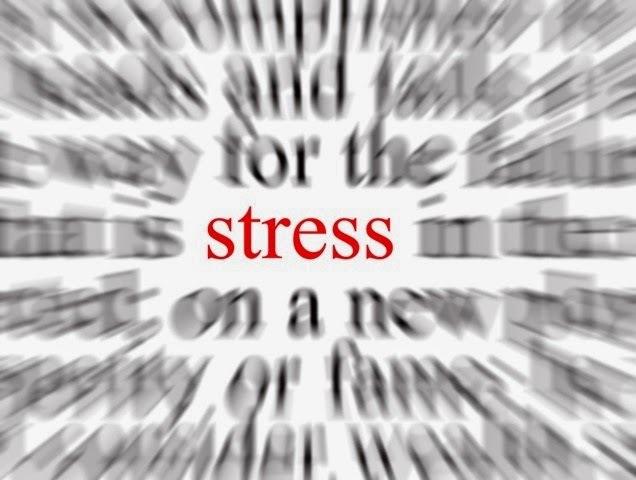 Stress is your body’s physical and psychological response to anything you perceive as overwhelming. This may be viewed as a result of life’s demands, pleasant or unpleasant, and your lack of resources to meet them. When stressed, your body creates extra energy to protect itself. This additional energy cannot be destroyed. If not used, it creates an imbalance within your system. Somehow the energy must be channeled into responses to regain a balance. Stress is a natural part of your life. Without some stress you would lose your energy for living. You will thrive on certain amounts; but too much or too little stress will limit your effectiveness. Ideally, you find your optimal level of stress—the balance at which you are most motivated. Everyone differs in what is stressful or potentially stressful. What for one person might seem to be a catastrophic event may be a minor setback for another. Adult children who do not want the family business. In each person’s life there are uncertainties that can cause stress. The change of a job may necessitate many other changes in the life of a person or family members. Trying to sell a home and buy another in the new location may be stressful. Logic and informed predictions have a place, but often stress piles up because there are so many “unknowns” in such situations. Uncertainty may cause feelings of being out of control, which can cause stress. A positive or negative attitude influences a person’s reaction to stressful situations. For example, if you feel your job is worthwhile, you may see some of the problems you encounter as challenges. Seen as pluses, the problems or potential problems become motivators. However, if you resent your situation or feel “stuck” in your job, similar experiences create stress, a stress that frustrates instead of motivating you. Past experiences and the resources you feel you have available to meet life’s demands will affect the degrees of stress you may experience. 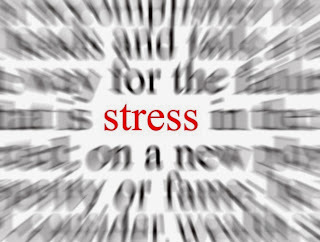 The degree of stress experienced will be affected by your perception of your ability to meet the particular demands. How you perceive the situation determines if it is or is not stressful. Self Your sense of competency, self-esteem, values, interests, needs. Material resources: Finances, equipment, storage; and People resources: Other people who can assist you, such as friends, coworkers, family members, professionals. All change produces stress, even positive changes. Marriage is a positive change that is also a period when adjustment is necessary. For some people, this adjustment can be stressful. A vacation may also be stressful; arrangements must be made for the trip and for work, and there is always a tendency to plan too many activities. Negative changes are not as difficult to identify as stress-producing. These are situations you would not like to occur, such as children leaving home to start careers, economic recession causing financial crisis, or loss of a valuable possession. Change demands your adjustment to the particular situation, whether you desire the change or not. Developmental changes that you are able to plan for— pregnancy and birth, children growing up, the aging process—may still be stressful even though anticipated. Work/business Operational change due to technological advancement; Major change in responsibility or work load due to shift in partnership; Expansion or reduction in production; Increasing skills to increase efficiency, and Inflationary operating costs. Personal Illness or injury; Personal achievement or disappointment, and Retirement. Social Illness or death of close friend; Beginning or ending of formal education; Change in social activities; and Involvement in community service. Financial Major change in financial state; Major purchase (home, equipment, land); Additional family expenses (education, insurance, illness); and Partial liquidation. What changes have you and family members experienced in the past several years? But it is possible to make some generalizations. People with adequate or strong social support networks report less stress and overall improved mental health in comparison to those without adequate social support. People who are poorly nourished, who get inadequate sleep, or who are physically unwell also have a reduced capacity to handle pressures and stresses of everyday life and may report higher stress levels. 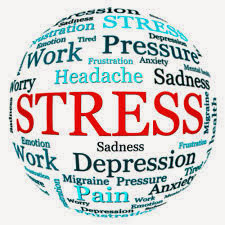 Some stressors are particularly associated with certain age groups or life stages. Children, teens, newly married, working parents, single parents, and seniors are examples of the groups who often face common stressors related to life transitions. As one example of stress related to a life transition, the teen years often bring about an increase in perceived stress as young adults learn to cope with increasing demands and pressures along with changes in their bodies. Studies have shown that excessive stress during the teen years can have a negative impact upon both physical and mental health later in life. For example, teen stress is a risk factor for the development of depression, a serious condition that carries an increased risk of suicide. Stomach. If you have stomach problems, such as gastroesophageal reflux disease (GERD), peptic ulcer disease, or irritable bowel syndrome, stress can make your symptoms worse. You may feel that you're too busy to do these things. But making time to do something you enjoy can help you relax. It might also help you get more done in other areas of your life. Meditate. When you meditate, you focus your attention on things that are happening right now. Paying attention to your breathing is one way to focus. Write. It may help to write about things that are bothering you. Write for 10 to 15 minutes a day about stressful events and how they made you feel. Or think about starting a stress journal. This helps you find out what is causing your stress and how much stress you feel. After you know, you can find better ways to cope. Stress is a part of life, and you can't always avoid it. But you can try to avoid situations that can cause it, and you can control how you respond to it. The choices you make about the way you live affect your stress level. Your lifestyle may not cause stress on its own, but it can prevent your body from recovering from it. Stress is a normal part of living. Everyone faces it to some degree. 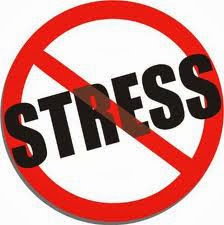 The causes of stress can be good or bad; desirable or undesirable, such as a promotion on the job or the loss of a spouse. Properly handled, stress need not be a problem. But unhealthy responses to stress, such as driving too fast or erratically, drinking too much, or prolonged anger or grief, can cause a variety of physical and mental problems. Even on a very busy day, find a few minutes to slow down and relax. Talking over a problem with someone you trust can often help you find a satisfactory solution. Learn to distinguish between things that are worth fighting about and things that are less important. To get all the nutrients you need for body requirements during stress, you should eat a variety of foods including fruits, vegetables, whole-grain and enriched breads, cereals, and other grain products, milk, cheese, yogurt, meats, poultry, fish, eggs, and dry beans and peas. If you eat a variety of foods in sufficient amounts, there will be no need to take vitamin/mineral pills, except in a few cases such as during pregnancy. Be careful not to eat excessive amounts of sweet, salty, or high-fat snack foods.